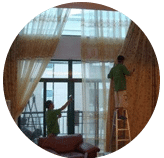 Our company provides professional curtain cleaning service across Peninsula Malaysia. 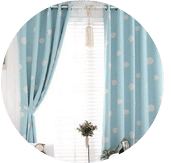 Sometimes you don’t have the chance to clean your curtains or perhaps you don’t know how to do it without getting them damage, hence that is the reason why we provide our professional services. Although they seem to be clean, the dust, odours, and mites accumulate on their fabrics. Thanks to washing machines, it is easier to wash the curtains at home. It is also true that this washing work does not guarantee the total disinfection. We offer you wet or dry-cleaning, these processes can be done onsite at your location or in our company space. We also clean different types of fabrics as well. 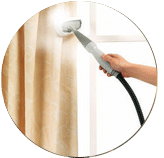 To perform a proper curtain cleaning, the first step is to regularly remove the dust which we use the vacuum cleaner brush. The second step is something that we will always recommend when it comes to washing them at home, go to the labeling and check the fabric, the cleaning symbols or the ironing temperature. Wet-cleaning is about getting the curtains submerged into water and squeezing them, or pouring liquid on them. Spray wetting is not enough for the wet cleaning process. A special feature in this method is that it has a reduce action and it helps the cleaning of the curtains by increasing water to textiles. Before the dry-cleaning process, we have to check them just to see if they have stains. Besides, we separate the curtains by type of fabrics and colour. The dry cleaner machine has different cleaning methods such as washing, rinsing, and drying. One of its characteristics is that it has industrial chemical solvents which help the curtains to process them. Finally, the curtains go through a process to finish the dry-cleaning method either steam or iron. However, all this process can be simplified and outsource to our pro team to handle it for you. 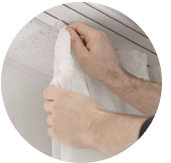 We will help you to eliminate allergens, insects, stains and dust-mites that could be on your curtains. 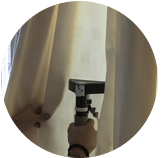 Please contact our customer service team today via call or drop us a message right now for a free professional curtain cleaning service quote! 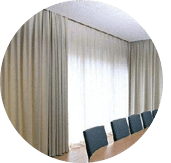 Our customer service team will reply to your request within a few working hours to find out more and discuss further about the professional curtain cleaning service that you require. 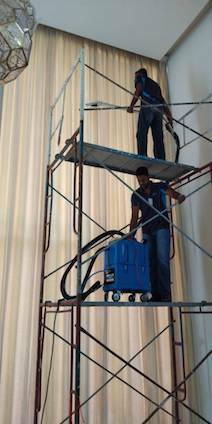 Subsequently, we will issue you a quotation and an invoice for the professional curtain cleaning service. 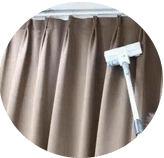 Our professional curtain cleaning service is available in Peninsula Malaysia from Kuala Lumpur, Selangor, Ipoh, Johor, Malacca and Penang. Speak to our team to enquire more about the professional curtain cleaning service that we provide in your area. I have a special request for the professional curtain cleaning service, can this be done? 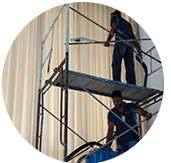 We understand that sometimes our customer have special requests for professional curtain cleaning service with regards to timing and other matters. In this scenario, you can contact our customer representative team at 017-232-6491 to discuss your professional curtain cleaning request.